If checking a website for information is akin to picking up a morning paper at a newsstand, then using an RSS feed is like subscribing to the newspaper. It give you the latest info and saves you the trip. That’s the metaphor. In real terms, RSS (Really Simple Syndication) is a snippet of XML code that retrieves a website’s latest content. Paired with a feed reader (or aggregator), that content is delivered to single place: a web page of your own design. You choose the sources of information (i.e., blogs or frequently-updated websites that you hope to keep up with), and RSS will “feed” all that new info to your page. As a user: If you routinely check a dozen or more sources, a feed reader will make you more efficient. It could save you A LOT of time. Most (if not all) library-world blogs provide feeds. Blogging software, in fact, usually includes it as a basic tool. Many websites and virtually all news sites offer feeds, too. As a provider: A library could (dare I say “should”?) include RSS feeds on many of its web pages, all of its blogs, and even within its catalog. When a page changes or a new blog is posted, subscribers will immediately see it on their feed readers. To maximize effectiveness, libraries should advertise the possibilities (or explain the feed concept) when opportunities arise. Don’t be content with providing an RSS icon; be proactive by explaining that RSS icon. As a conduit: A library’s website could include RSS feeds from other sources. Do you know of a reliable RSS source of local traffic information? Does your town have a website with a community events feed? Maybe you could pipe that content (or content even more imaginative) into your page. When the information is updated on the original website, the RSS will feed it to the library’s page where your patrons can see it. Some browsers (including Internet Explorer 7 and Firefox) have built-in feed readers which simplify the process but limit your feeds to one machine. Skip to the “get a few feeds” section below if you want that option. Follow the whole process if you prefer a web-based feed reader. Start with a feed reader or aggregator. Open a free account at GoogleReader, Bloglines, Technorati, or other feed reader or blog reader service. This will be the beginning of the web page you’ll use to collect all those subscriptions. Now, get a few feeds. Go to a blog or webpage to which you’d like to subscribe. Click that button or link. Depending on the site and your browser, the page that opens might resemble computer code gibberish. That’s XML and you need not understand any of it. What you want is the web page address for all that XML. Right-click your browser’s address window, and click COPY. Right-click into the aggregator’s RSS text box and click PASTE. Once that address is entered, you should see the latest content (or a clickable title for the latest content) in your feed reader. What you do next is your call: find more feeds to add to your aggregator,rearrange your aggregator’s display,adjust the feed settings (to display full content, titles only, number of posts to display, etc. ),or close for the day. You can return to your feed reader at any time and see all the new stuff that your favorite blogs and websites have fed to you while you were away. And of course you can add other feeds whenever the need or mood strikes. Make your feed reader work for you. Have all the stuff you like delivered. And why not? It’s your web now. If you gather a committee, write a draft document, and solicit feedback, you might receive scores of revisions in email and on paper. Compiling all those changes back into a single coherent document could be a long and tedious task. On the other hand, you could create a wiki. That would enable everyone to work on the same collaborative document and compile changes on the fly. A wiki is basically a read/write website open to anyone with permissions. Wiki is a Hawaiian word meaning “quick”. Ward Cunningham, who developed the wiki concept in the mid-1990s, named his WikiWikiWeb program after the “wiki wiki” shuttle bus he encountered at the Honolulu Airport. It seemed the perfect name for a web platform intended to give users quick access to editing tools. The largest and most famous wiki, of course, is Jimmy Wales’ Wikipedia, where thousands of contributors have complied a global encyclopedia with more than 2 million English language articles (and even more than that number in other languages). Most other encyclopedias publish articles written and vetted by experts; Wikipedia entries are created and edited by anyone volunteering the time and effort. Accounts aren’t even required! Readers add information, correct typographical and grammatical errors, and contribute to a worldwide public-review process that is much faster than traditional peer-reviewed documents. Here are three ideas for libraries to consider. Accuracy. Information in a wiki is mostly accurate, but who knows? How’s that for a ringing endorsement? Wikipedia, the largest of all wikis, has been studied* and found to be reasonably accurate. It might not be peer-reviewed by recognized authorities, but it is read and continually re-edited by thousands of people. There is vandalism, to be sure, but most people don’t make changes unless they are confident of their facts and they are more likely to contribute good information than bad. My opinion: A site like Wikipedia is a reasonable place to begin a search. You can pick up a few facts and grasp an understanding of a subject. However, it probably isn’t the best place to end a search. Don’t prohibit its use as a resource, but encourage people to supplement it with other sources. Collaboration. Libraries increasingly use wikis within the profession. Wikis created by the international library community provide ample room for collaboration toward common goals. Library conferences have begun providing wikis. Planners, speakers, and attendees compile information and experiences without the need or delay of editors. Intranet-based wikis may be helpful within an organization. University libraries have been active in this regard. I recently began a manual-writing project on an internal wiki open to supervisors at my public library. Such wikis can foster the participation of many people without the usual drag of long committee meetings. Patrons. Wikis can be created for library patrons. Bookclubs and teen programs might help construct and/or benefit from them. A “Community Places” section seems custom-made for residents who know their area better than anyone. A wiki can give them a venue for sharing their knowledge with others. Nothing demonstrates the concept of a wiki better than just diving in. Here are a few explorations I’d encourage you to try this week. Go to Wikipedia and search a few topics that are near & dear to you. Topics might include a town or a hobby you know well. Read over each article. Look at the organization and note the writing style. This article was probably not written by a single person. Several people likely compiled it over months or years. Click the “History” tab to see past activity on the page. Click the “Edit this page” tab to open the page’s editing functions. Browse the source code to familiarize yourself with the text and format code of this particular wiki. Wikipedia was built on MediaWiki software. Other wiki platforms may use a different mark-up language. If you honestly have something to contribute, edit or add to the page and save it. That’s how wikis evolve: one reader/writer at a time. Visit other wikis. LISWiki and Library Success are two library world wikis you may want to explore. There’s a good list of other library and conference wikis on the LISWiki: Wiki page. You might also enjoy Nancy Pearl’s BookLust wiki. Bonus: If you or your library are interested in creating your own wiki, there are many software types available. Shop around for the best fit. Some services charge, others are free; some are open to public view, others are private; some host pages for you, others allow software downloads to your server. Here are three examples: MediaWiki, PBWiki , WetPaint. Collaboration. Participation. It’s all part of the social web. * most famously by Nature magazine, Dec. 15, 2005. We explored social bookmarking last week and briefly mentioned tags. Let’s look at tags — or folksonomies — a bit more closely now. Formal cataloging involves experts who assign subject headings based on approved lists and hierarchical taxonomies. It’s an organized and presumably consistent way of storing and retrieving materials and information. But there are many ways of classifying things. I might look at a photograph of a lake in winter and think of the words lake, frozen, and cold. You might prefer lake, winter, and ice. We often rely on experts to iron out our differences. Unless we think like the expert who cataloged the item, however, we still might not find what we’re looking for. Now suppose everyone participated in cataloging. You might imagine people attaching notes to everything (much like the two girls in a delightful video from Harris County Public Library). With folksonomies, you tag things the way you want, and I tag them the way I want. If enough people participate, we might collectively describe any content with greater depth, color, and nuance than formal subject headings. Because content creators and users generate the tags, folksonomies often present information that the average person finds most relevant. Visual representations of tags (like the one from LibraryThing shown above) are called tag clouds and may give us even more information because they display frequently-tagged words in larger fonts. More people thought those words were important. Visitors to social networking sites tag content for their own reasons. Each person adds words relevant to him/her, and the aggregation has a powerful organizing effect. If you’d like to know more about tagging and organizing digital information, I recommend Everything is Miscellaneous [LibraryThing/WorldCat], a very readable book by David Weinberger. Libraries cannot possibly classify everything. Even the enormous Library of Congress (with several hundred catalogers sorting through about 7,000 new books each day) could not handle the volume of Flickr, the photo-sharing website we discussed a few weeks ago. Flickr receives a few thousand photographs every minute. Tagging makes possible the organization of all those pictures. 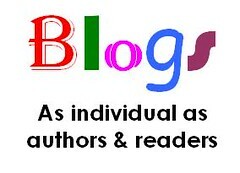 YouTube members tag videos; Delicious users tag websites; LibraryThing members tag books; bloggers tag their posts. Tagging is everywhere on the social web. It’s vital for library staff to understand tags. They should know the strengths: that tags accumulate quickly and offer a wide range of keywords. They should be aware of the weaknesses, too: tags can be ineffective when very few people are involved and offer inconsistent word choices (examples: Should we search car, cars, or auto? ; Which meaning of the word spring was intended?). Libraries might also explore ways to incorporate tags into software where appropriate. Some libraries have or soon will have tags and tag clouds in their catalogs. My own library has tags on its staff intranet site. You’ve read enough by now, so this week’s activity can be done in short exploratory sessions of mouse clicking. Explore your Flickr tag cloud. Assuming you created an account for an earlier lesson, log into your Flickr account and go to the “Your Tags” option in the “You” menu. This cloud was assembled with the tags you added to your own photographs. Common themes among photos shine through. Click any word to find all photographs marked with that tag. Look at Flickr’s communal tag cloud. This will call up other Flickr members’ photos. It’s great for browsing, but there’s a search box, too, in case the word you’re looking for isn’t there. Explore tags in your Delicious account. (That was a previous lesson, too.) Your tags appear in a clickable list or cloud on the right side of the screen. You may also click the “saved by X other people” link shown for any particular bookmark and see the collected tags from everyone else who saved that bookmark. Click one that interests you and see what other sites come up. Add more tags to your Flickr photos and Delicious bookmarks. It will make them easier to find and others to stumble upon. Explore Dave Pattern’s biblioblogosphere tag cloud. Pattern’s software regularly scans library blogs and updates the communal tag cloud. A glance at the cloud can give you a sense of the topics librarians around the world are currently chattering about. Clicking any word in the cloud takes you to those blogs doing the chattering. Create a text cloud. Just for fun, copy the text of a long memo or email into TagCrowd and see the cloud it produces. The longer the text, the more likely the prominent words will be meaningful.